The fourth-ranked UVA women’s soccer team opened play in the 2014 NCAA Tournament with an 8-0 victory over High Point in a first round match Friday at Klöckner Stadium. The third-ranked UVA women’s soccer team was victorious in its first-ever trip to Louisville, downing the Cardinals 2-1 Sunday at Lynn Stadium. The Cavaliers rallied from down an early goal to improve to 14-1 (6-1 ACC), while the Cardinals (6-7-2) fall to 2-3-2 in their inaugural ACC season. The fourth-ranked UVA women’s soccer team recorded its first ranked win of the season, downing No. 10 Notre Dame 2-1Sunday afternoon at Alumni Stadium. The second-ranked UVA women’s soccer team suffered its first loss of the season, falling to No. 5 Florida State 1-0 Sunday at the Seminole Soccer Complex. The second-ranked UVA women’s soccer team remained unbeaten with a 2-1 come-from-behind victory over Tennessee Friday night in front of a season-high 2,490 fans at Klöckner Stadium. The third-ranked UVA women’s soccer team opened its road schedule Friday with a 3-0 victory over Alabama in front of 1,308 fans at the Alabama Soccer Stadium. The third-ranked UVA women’s soccer team remained unbeaten on the season with a 4-0 victory over Richmond Friday night in front of 2,436 fans at Klöckner Stadium. The third-ranked UVA women’s soccer team opened the 2014 season Friday night with a 3-0 victory over Marshall in front of 1,757 fans at Klöckner Stadium. The third-ranked UVA women’s soccer team concluded its preseason schedule Monday with a 5-0 exhibition victory over VCU at Klöckner Stadium. 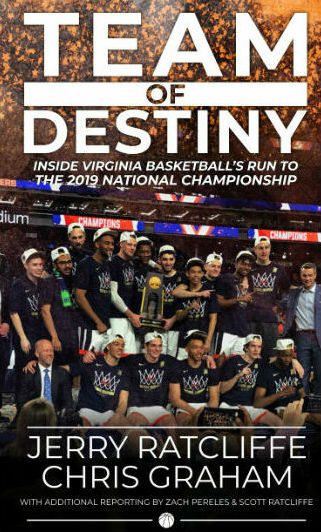 The top-seeded UVa. women’s soccer team opened play in the 2013 NCAA Tournament with a 5-0 victory over Saint Francis (Pa.) Friday night in front of 1,611 fans at Klöckner Stadium. Sophomore forward Makenzy Doniak (Chino Hills, Calif.) recorded her first career hat trick to lead the Cavaliers (21-1) into the second round. The top-ranked Virginia women’s soccer team suffered its first loss of the season, falling to No. 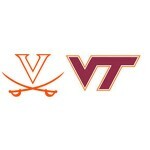 5 Virginia Tech 4-2 Friday night in an ACC semifinal at the WakeMed Soccer Park. The loss snapped the Cavaliers (20-1) school-record 20-game win streak. The top-ranked Virginia women’s soccer team posted its first 20-win season in school history as it downed Maryland 6-1 in an ACC Tournament quarterfinal Sunday in front of 2,349 fans at Klöckner Stadium. The Cavaliers (20-0) advance to meet Virginia Tech in Friday’s ACC semifinals in Cary, N.C., while the Terrapins (10-10) were eliminated from their final ACC Tournament.